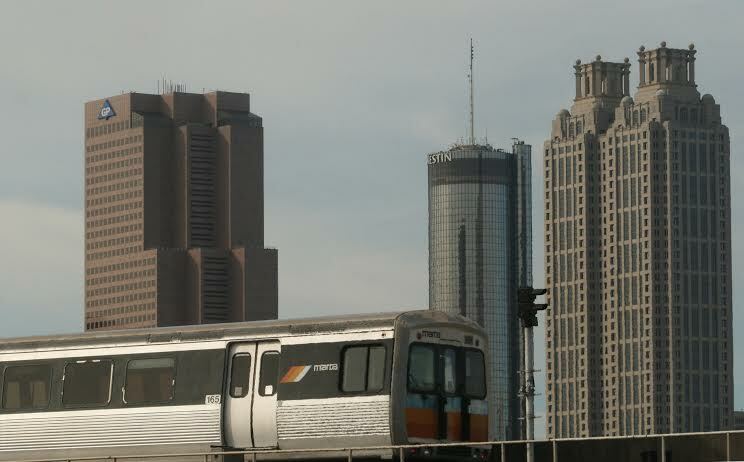 (APN) ATLANTA — A majority of likely Gwinnett County voters support expanding Metropolitan Atlanta Regional Transit Authority (MARTA) service to the county, according to a poll commissioned by the Gwinnett County Chamber of Commerce. “This reaffirms what we thought about how the Gwinnett community has changed over time. The community in general supports transportation alternatives,” Dr. Daniel Kaufman, President of the Chamber, told Atlanta Progressive News. Overall, sixty-three percent of survey respondents were in favor of expanding MARTA into Gwinnett. Currently, MARTA only serves Fulton, DeKalb, and Clayton counties, with Clayton having only joined last year, in 2014. Support in Gwinnett varied across different demographic groups. Self-identified liberals, Democrats, and people between the ages of 18 to 54 were the strongest supporters. Also, people living closer to Atlanta were more supportive of expanding MARTA than Gwinnett residents living further north. But even amongst other demographics, support was not particularly low. Fifty-one percent of people who identified as conservative were in favor, and even forty-eight percent of Republicans agreed. Less popular, however, was the idea of paying for MARTA expansion with a one percent sales tax. Only fifty percent of respondents overall were in favor. Forty-seven percent said the State of Georgia should be responsible for funding public transit. Gwinnett voters have routinely approved Special Purpose Local Option Sales Taxes (SPLOST) to fund infrastructure and other public projects. MARTA expansion could be funded that way, or by a separate one percent sales tax, a new option created by HB 170, the omnibus transportation bill the General Assembly recently passed. Other provisions in HB 170 create new revenue that can potentially be used to fund public transit, though a specific amount is not designated for that purpose. “As the State steps into funding transit, what will that look like? How will all that play out? We don’t know the answer to that yet,” Kaufman said. The Gwinnett Chamber of Commerce is not ready to draw conclusions based on the poll. “Transit is a means to an end, not an end in itself. I believe we need to have a conversation about what do we want to be? And, okay, how do we make that happen?” Kaufman said. “Light rail is an option, buses are another option, bicycles are another option. I tell people even covered wagons are an option. There are a lot of ways to get people and goods from point A to point B. So we have to answer that question of what do we want to be first. The polls start that conversation,” he said.